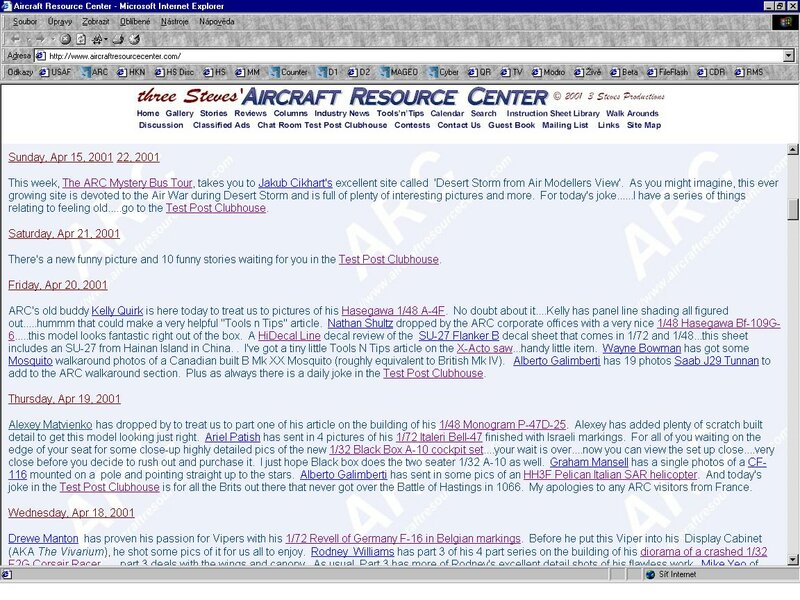 So, my page was choose as a "Site of the Week" (picture) by Aircraft Resource Center for a week of 16. - 22.4.2001. I would like to thank to ALL of you, visitors, who visiting and supporting me in making these pages.